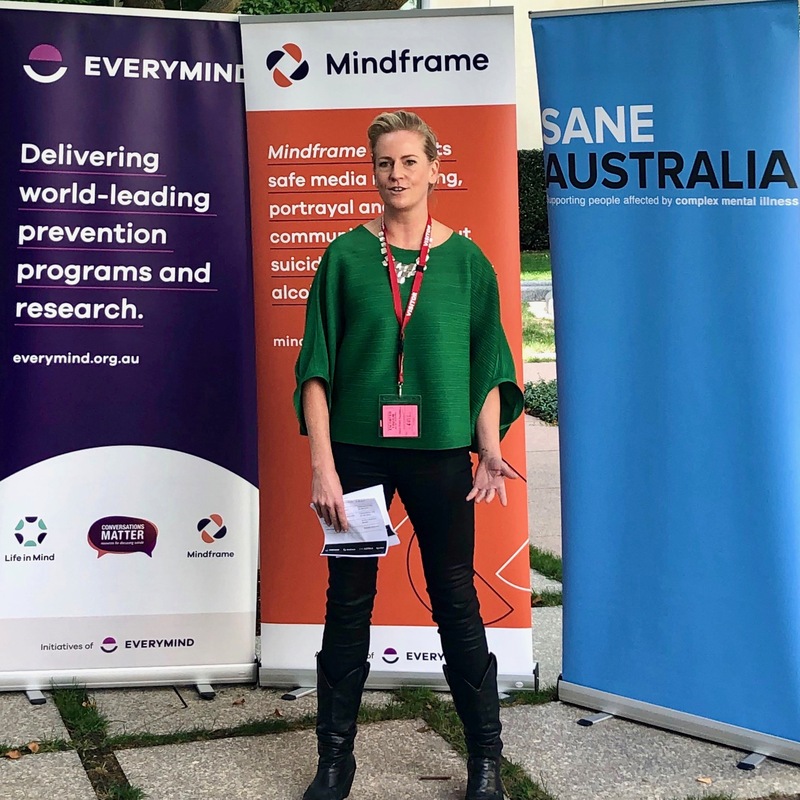 An initiative of SANE Australia, Everymind and Mindframe. 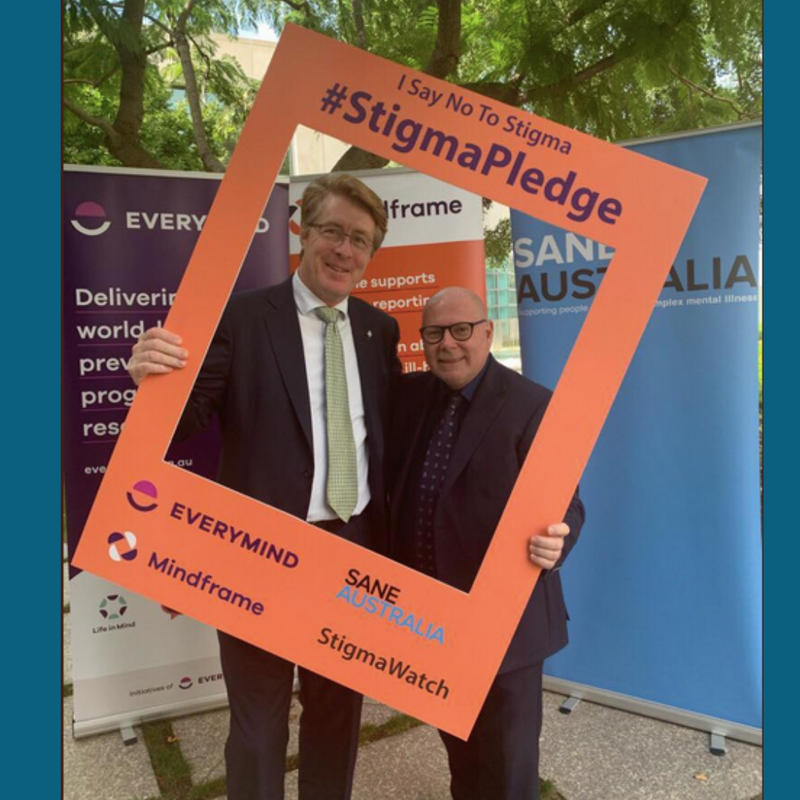 SANE Australia and Everymind, supported by our colleagues across the Australian mental health and suicide prevention sector, are increasingly concerned about the use of unsafe language, myths, stereotypes and stigma which are commonly referenced as part of political discourse. 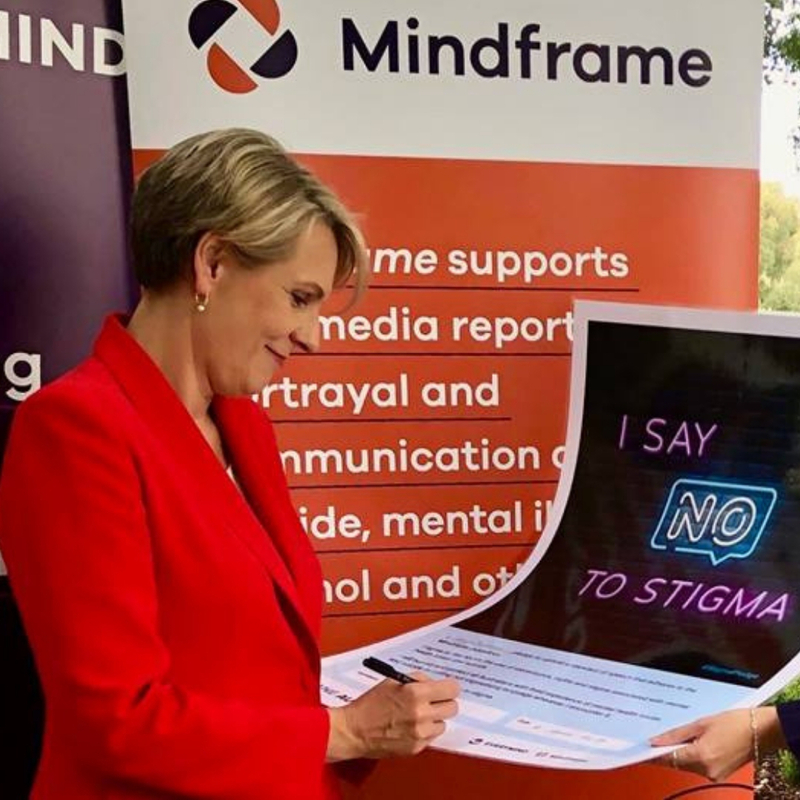 With the federal election fast approaching, we want to emphasise the importance of avoiding any language that stigmatises mental illness during the election campaign. 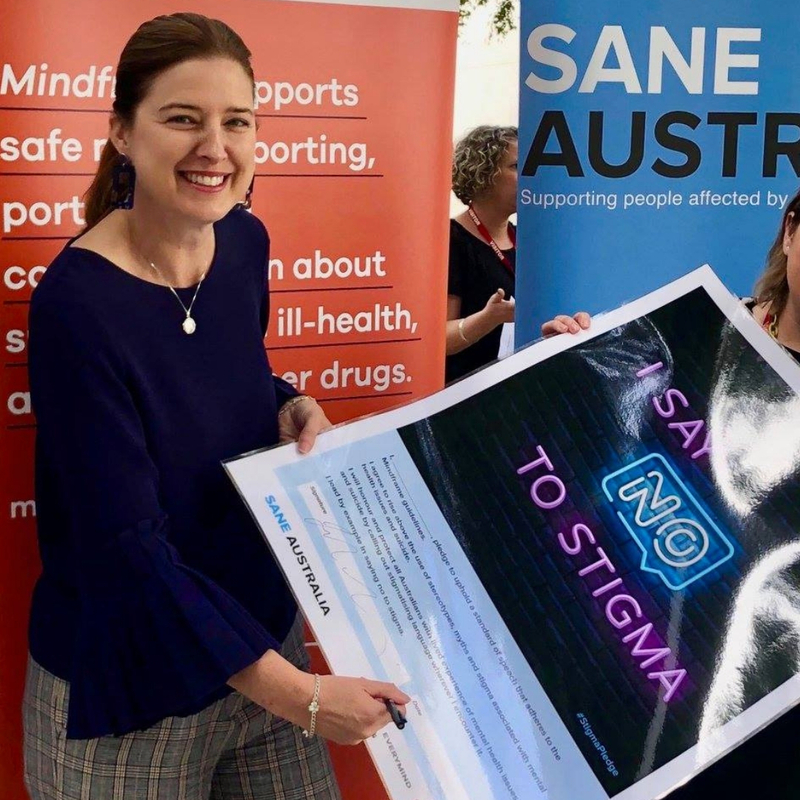 Negative and unsafe references to descriptive phrases such as ‘political suicide’, ‘suicide economy’, ‘crazy decision’, ‘political madness’ and ‘psychotic pollies’, among others, can have a harmful effect on those living with mental health issues and may inadvertently prevent people from seeking help and support. 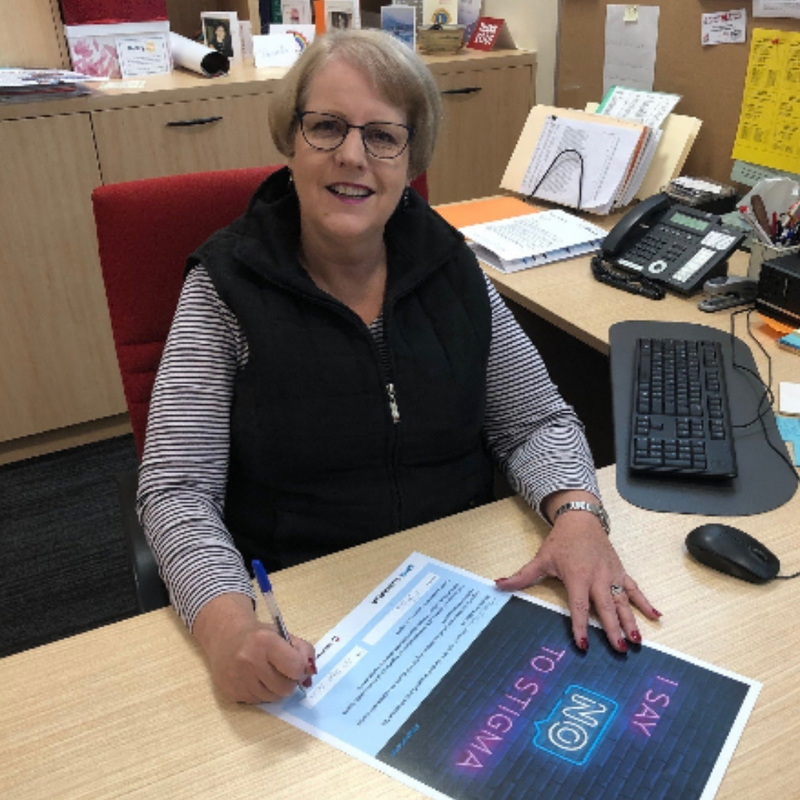 We encourage you to be mindful of the power of your words, in order to reduce stigma and minimise harm to the most vulnerable in our community. 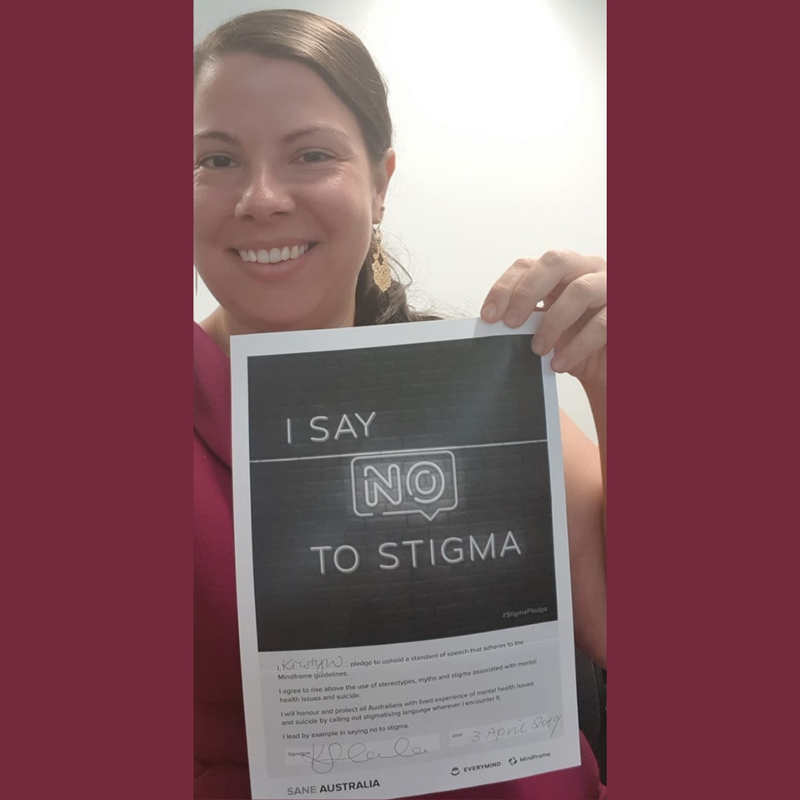 Click here to read our #StigmaPledge dos-and-don’ts list which will help you identify and avoid problematic language. 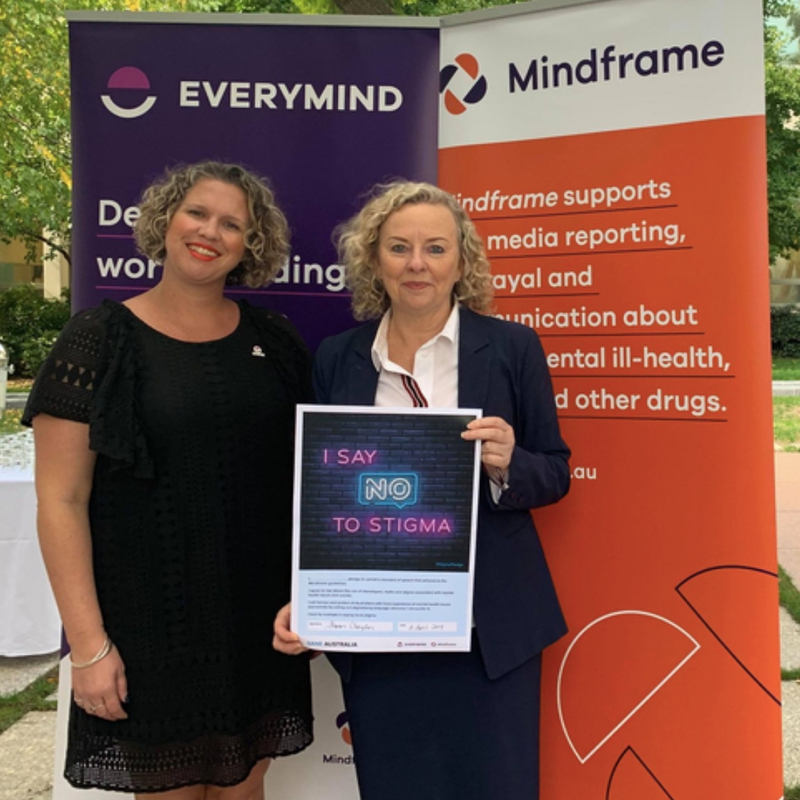 For more information on the Mindframe guidelines, please visit the Mindframe website. 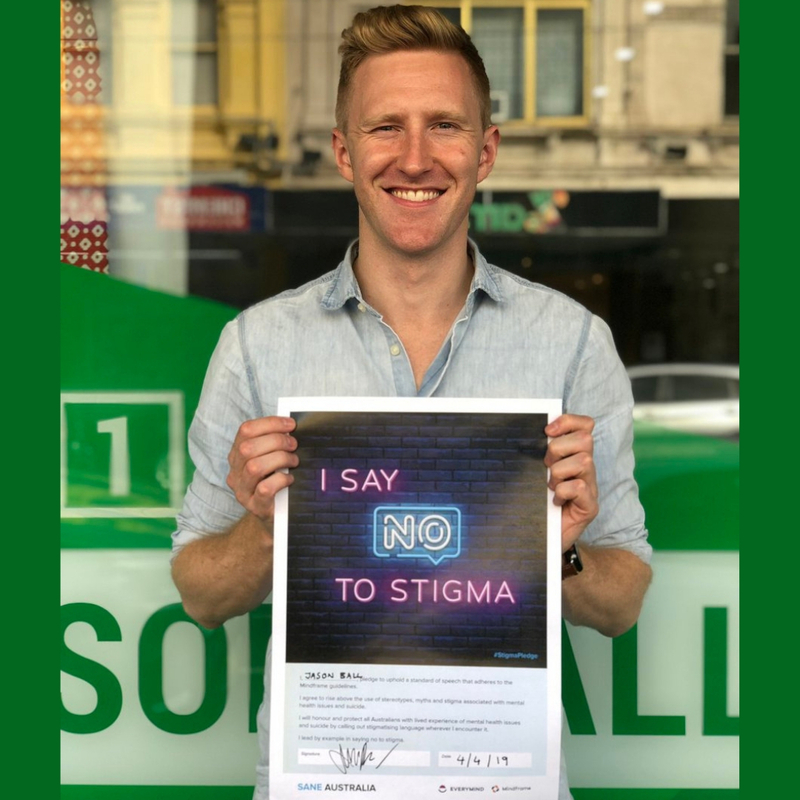 Print out and sign the ‘I Say No To Stigma’ pledge form below (just click the 'pop-out' button in the top right corner). Take a selfie (or just a photo!) with your pledge. Get socialising! 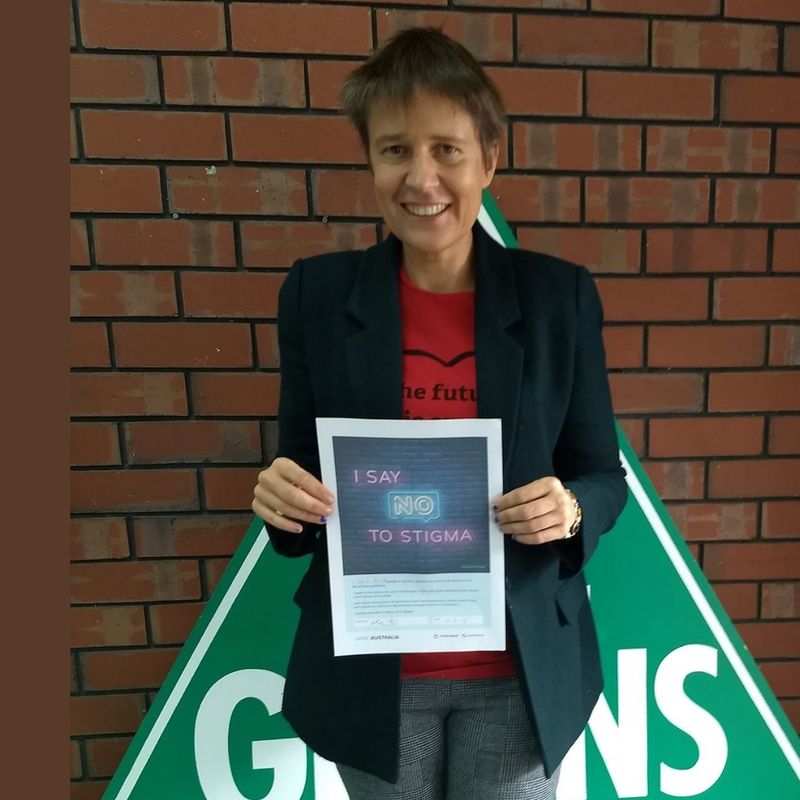 Share your pledge photo so everyone can see your commitment to this important movement. 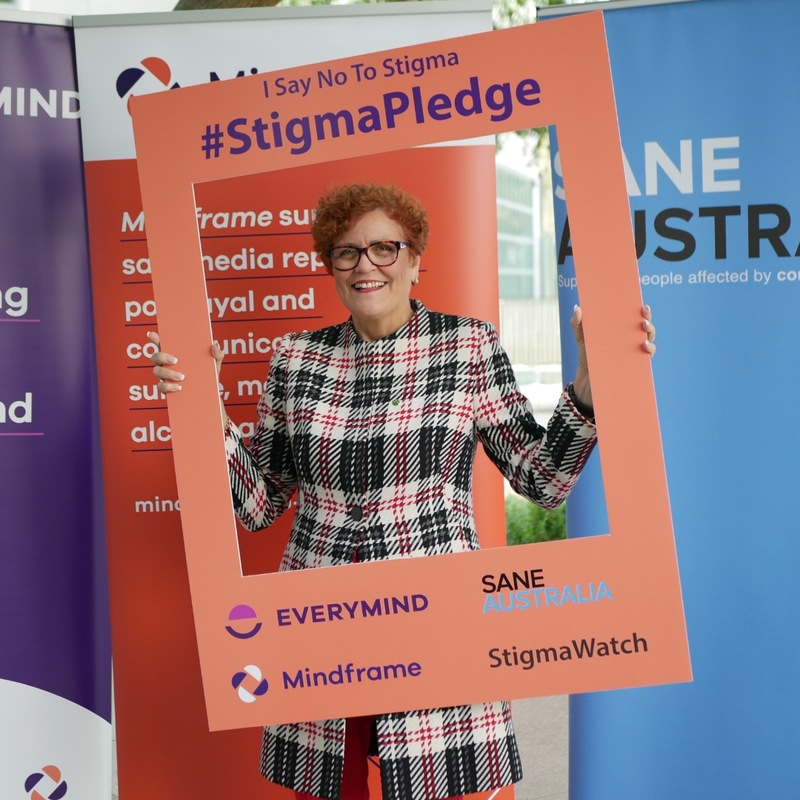 Include a brief explanation of why you chose to sign the pledge and make sure you include the hashtag #stigmapledge and tag @SANEAustralia, @EverymindAU and @MindframeMedia.